It’s been back to business with a bang this month with pre-season training in full swing. 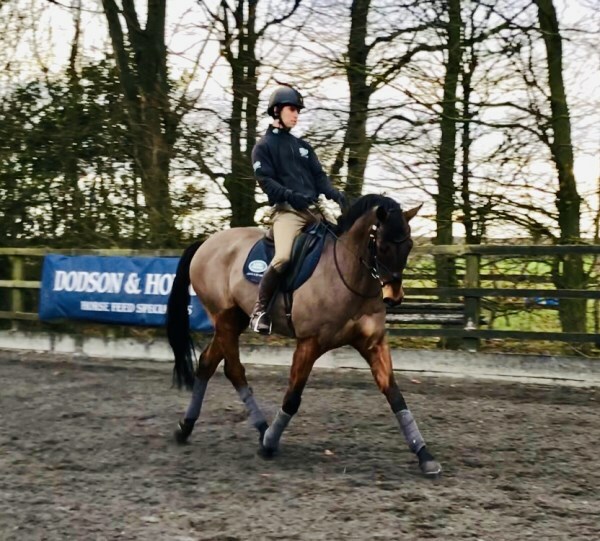 Jess and I spent a week in Yorkshire​ ​​before Christmas ​with the four most advanced horses training​ with​Chris Bartle. It was great to get back in the zone after the November lull and focus on the ​quality of training in the pre-season ​period. Chris’s simple system and approach is very logical and all the horses came on in the few days we were there. We've made similar trips over the past few years and each time I return home with fresh ideas. Chris unusually ventured south ​in January too so it was great to get a couple of days training with him ​without having to travel the length of the country. It's ​also ​great to be back on World Class. I previously spent seven years on ​the programme but came off when Wild Lone died. It's taken a couple of seasons to build up a team of horses to championship level again, so it's great for the horses and for the owners. The support makes a big difference and since we're used to working in an individual training environment it's good fun to be in a team atmosphere and very healthy to feed off ​one another. We had a two day training session in January with Angela Tucker and Nick Burton​, which was a great opportunity to have some scrutiny from fresh pairs of eyes. 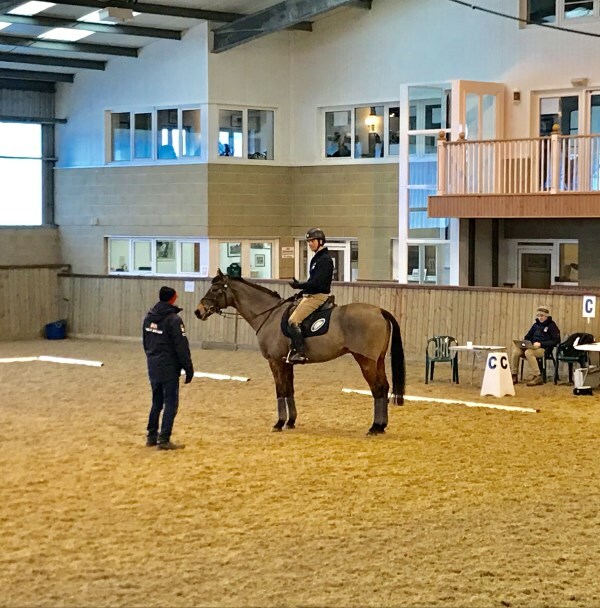 ​In addition to the dressage sessions w​e under​went​ positional analysis, and both riders and horses are assessed by the Equine and Human Sports Science and Medicine teams in order to identify areas for improvement. A large part of the programme involves working off the horse. ​In early January we had a really useful physical testing day ​where they analysed the strength and mobility of isolated muscle groups, and designed a bespoke physical training programme for each of us. We also see a nutritionist, doctor, sports psychologist, physio, and have access to experts in lots of other areas. 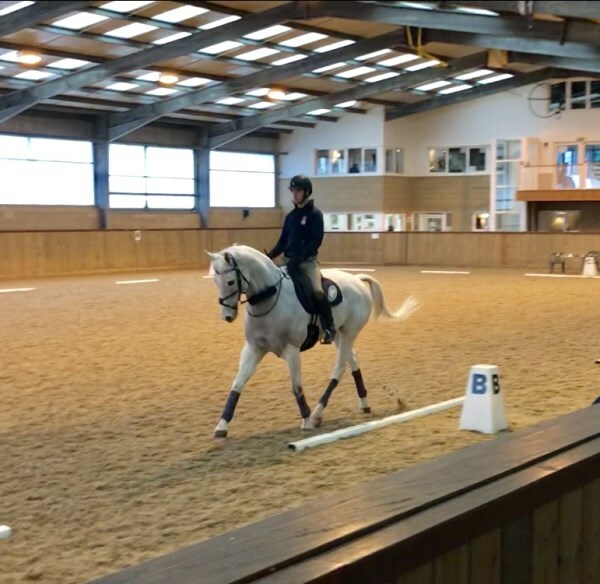 ​We've been out to weekly dressage competitions - the first trip of the year for each horse is usually damage limitation as they are so pleased to be out again, but they tend to get back to work pretty quickly thereafter. I try to get each horse out to a few dressage competitions before the season starts. We go show jumping every week. I like to start each horse off at a lower level, whilst working on the quality of their round. As they move up the levels of classes each time out it's possible to maintain that quality until they are back jumping at their respective level in time for the first events. 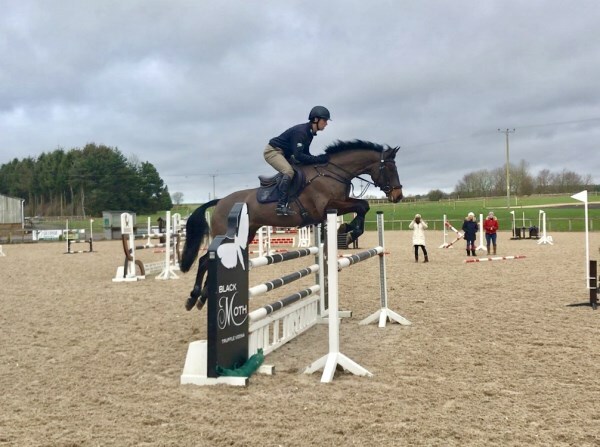 This approach require a lot of outings but I find it pays dividends and having undergone our usual pre-season routine makes the eventing season far more enjoyable. We plan to get out cross country schooling in good time, in case we are faced with a sodden or frozen ​stint just before the events start. Should this be the case then all the horses should have had sufficient outings to head straight to their first events without another school. It takes a few outings for all of us to get back into the groove. The pre-season competitions are great dress-rehearsals to get us all back in the mindset for packing the lorry and early starts again. New arrival, Busby, enjoying his new Cavierra bed! 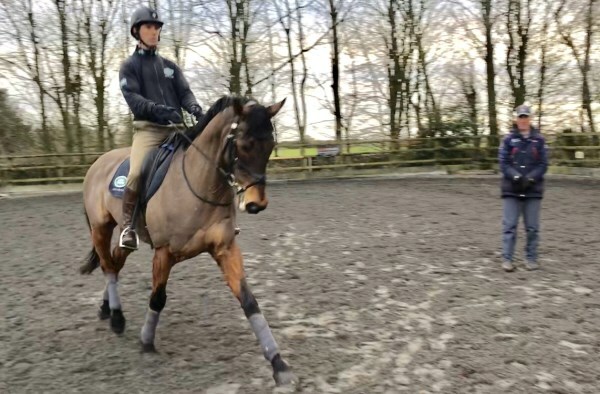 Monbeg Medlar heading for his first dressage competition of the year. It's a tough life... Red Kite taking it easy with Megan and Georgia!